My card today uses the Live, Love, Grow stamp set in our Annual Catalog and Idea Book. I paired it with the Succulent Garden Designer Paper, choosing colors from the paper for my card. I have listed all of the supplies and measurements for this card at the end of this post. This is a two- step stamp set so it was easy to add color to the succulent stamps. They almost look like they were watercolored! 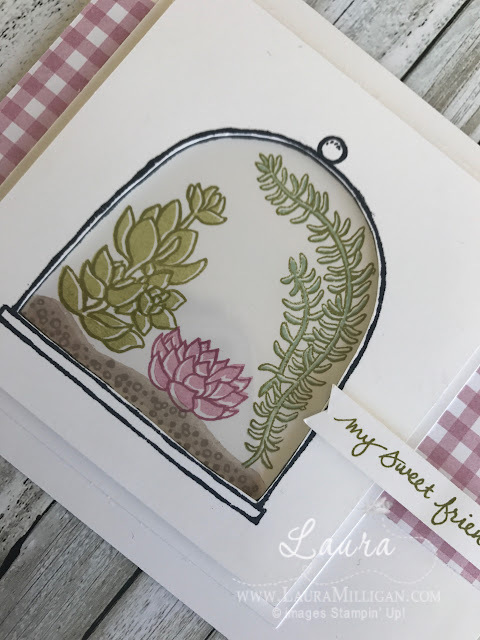 The terrarium was stamped with Tuxedo Black Memento ink - I used my paper snips to cut out the inside shape and attached a window sheet behind it. I attached this over the succulents with dimensionals - it gives the terrarium some depth. To finish the card, I used some of the Succulent Garden Designer Paper and added a sweet sentiment. For the inside of the card, I cut a square piece of the designer paper diagonally, and attached to opposite corners. Products for my card today include the following- click on any image to shop via my online store! 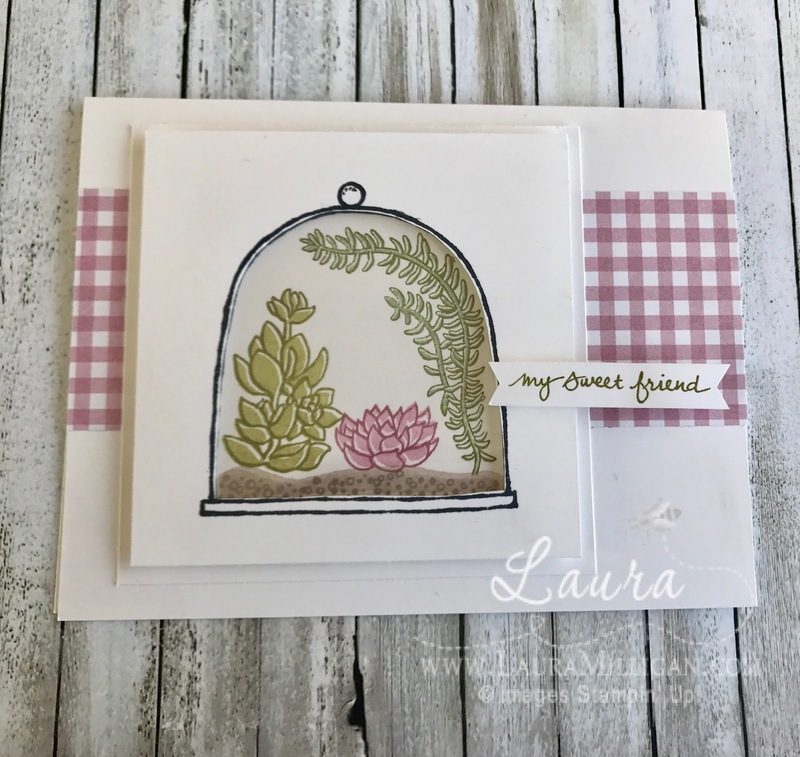 Succulent Garden DSP 2" x 51/2"
Laura, It's a beautiful card. Love the 3D terrarium. Thank you for sharing! Hi Mary- thanks for the compliment! Hope all is well with you!